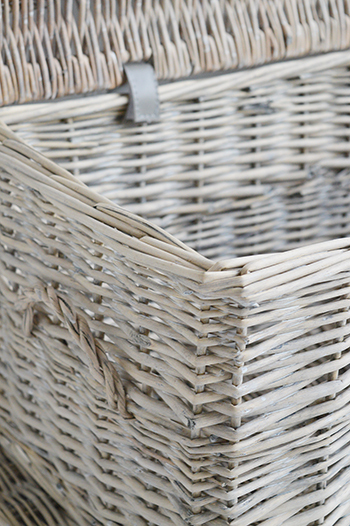 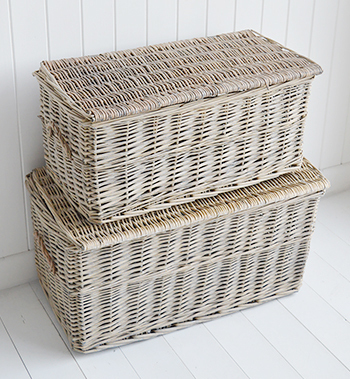 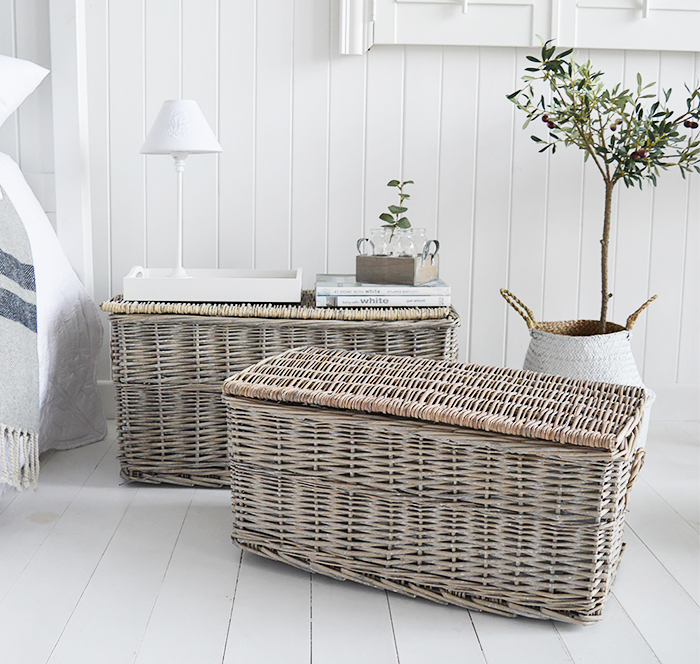 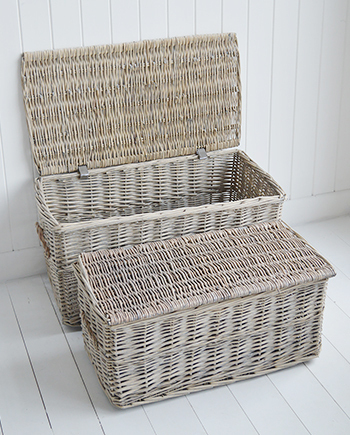 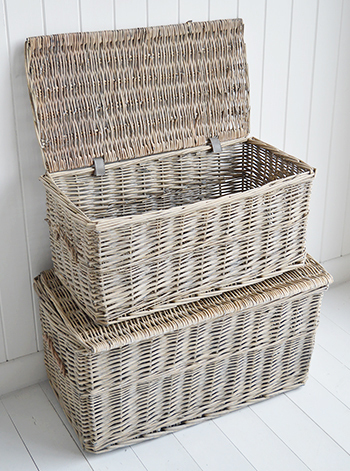 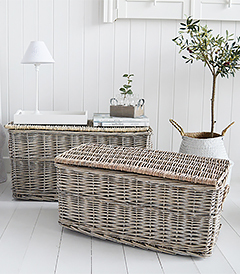 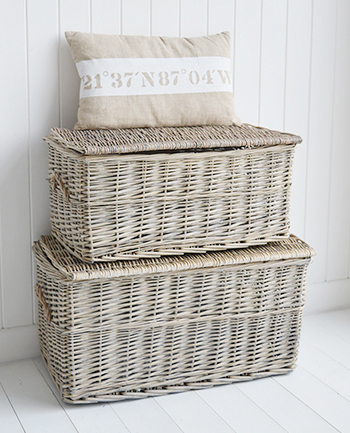 Windsor set of two grey rectangle storage baskets with hinged lids to hide away clutter. 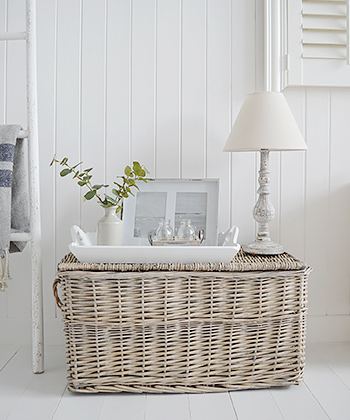 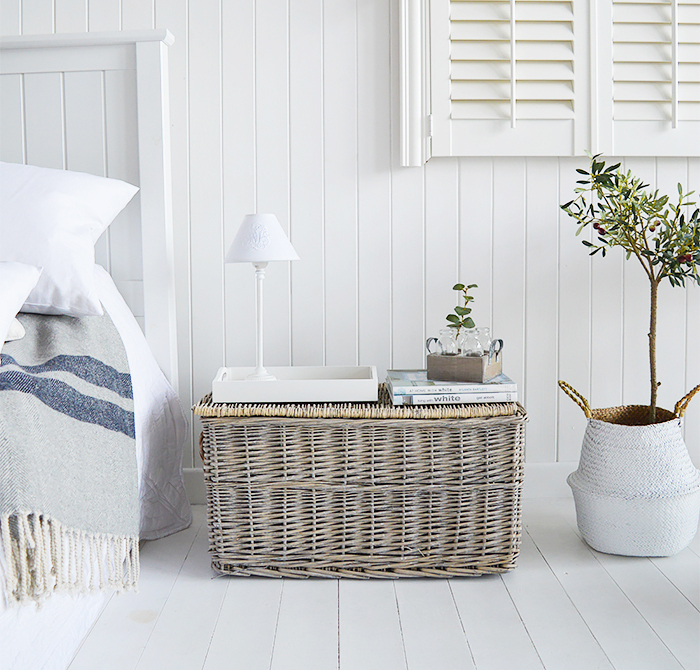 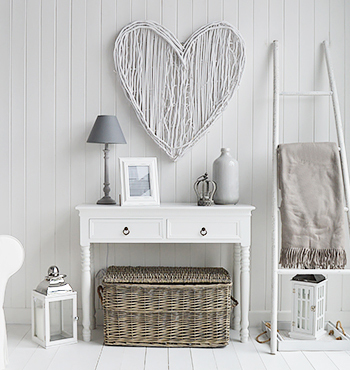 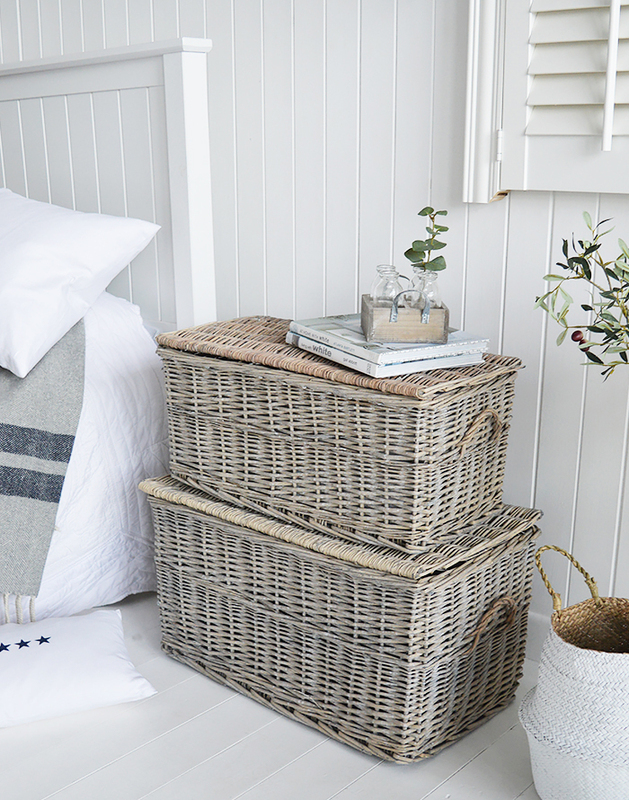 Bedroom: The Windor set of baskets can be used as a bedside table, add a lamp and photo frame for your unique look. 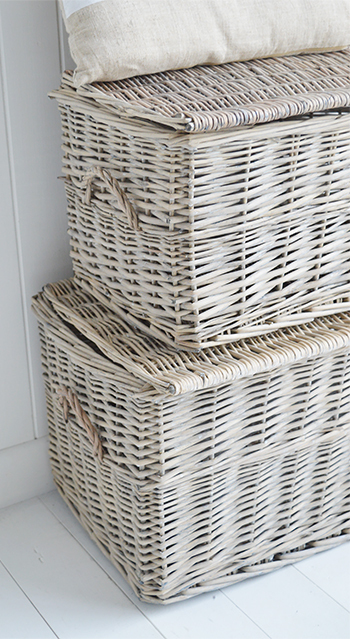 The extra storage can be used for storing clothes. 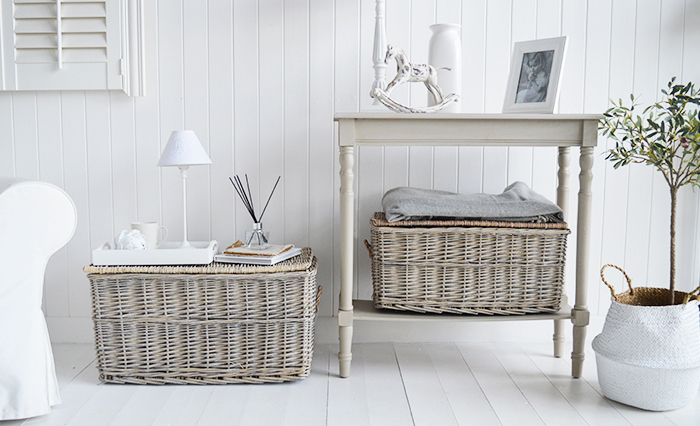 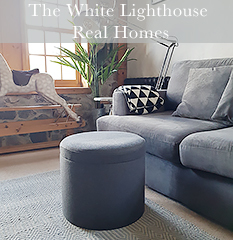 Home: Great storage throughout the home, while the lids give you the uncluttered tidy look and feel to any room.